The Kings Ferry Travel Group, is celebrating 50 years on the road. The Kings Ferry has won more than 40 industry awards over the course of its 50 year history. The company was founded in 1968 by Peter O’Neill, who remained at the helm for nearly 40 years before it changed hands and was bought by National Express in 2007. 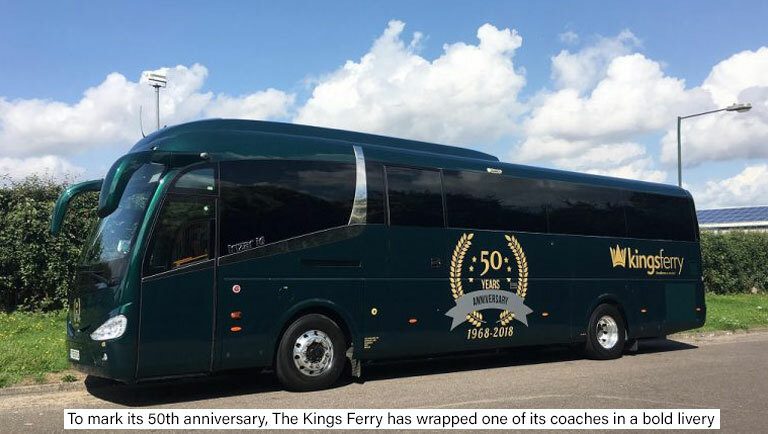 To mark the 50th anniversary, The Kings Ferry has wrapped one of its coaches in a bold livery which aims to catch the eye when out on the road.